I want to introduce you to my new friend Benna. I met Benna on my trip to Uganda last month. She rode up to our Women’s entrepreneurship group on her motorcycle. I was immediately captivated by her smile, and the bumper stickers on her bike that read: Into Your Hands. Nice marketing and we hadn’t even started the class! As Kristy and I taught an Introduction to Business class to forty or so aspiring women entrepreneurs, Benna continued to capture my attention. She asked relevant questions during the opportunities and challenges portion of the workshop and sought to encourage her peers throughout the training. When I asked her what business opportunity she was exploring, she explained several. She already had pigs, which started from a single pig gifted by Into Your Hands. Now she has nine in her piggery and is considered a local consultant and role model for Into Your Hands and other organizations on pigs. Benna also attended one of our Community Development Association workshops on drought resistant crops that helped her family with their coffee plantation. She and her husband had hired a local farmer to support them with their businesses but they want to expand. Does she grow existing businesses like pigs and coffee or does she try something new like poultry? This women’s enterprise workshop had her considering the opportunity, diversity of income versus the challenges and lack of specific poultry knowledge. Benna was taken aback when I put my hands on her shoulders, hugged her lightly and told her she was my hero. I’m still not sure how that was translated, but she put her hands on mine, smiled and made sure I knew I was invited to visit her home. I have to tell my friends, the people who support us; this is what happens, when we provide the resources through Into Your Hands to Ugandans like Benna. Into Your Hands translates those resources into 350 enterprise projects like Benna’s pig and reaches over 750 community members through Community Development Groups where Benna learned about drought resistant coffee crops. And at our annual event, we began raising money for the 53 women in this group to participate in a women’s enterprise training program beginning next year. Maybe Benna’s local employee was the father of one our 200 students through our Hands of Hope program in 2016. The translator for Benna and I, Ronald, an Into Your Hands intern, had been one of our scholarship students when I last visited 8 years ago. I realized as I waved Benna away on her motorcycle, we are all connected. I am joined with you through your interest, passion and history with Into Your Hands. We are joined with communities in Uganda, people we don’t know, haven’t met. Motorcycles with stickers on them, women expanding a pig business sponsored by one of you from one piglet into nine and changing village lives by hiring others, who then send their children to school, who then pay another teacher. And the ripples go on. Thank you for helping us be connected and make ripples a world away. 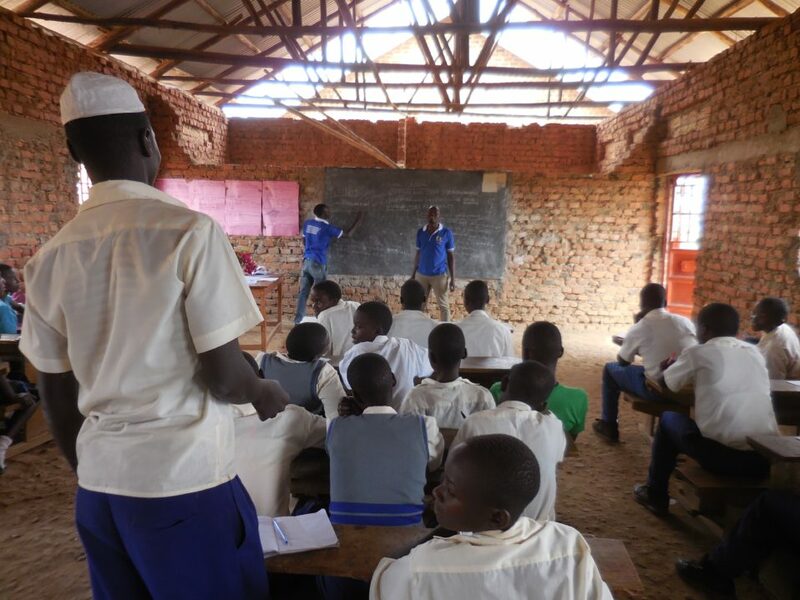 Please stay passionate and involved with our resourceful and learning communities in Uganda. It is truly miraculous what we can do together. As you may already be aware, we are in the process of piloting a new Life Skills program for secondary students in an effort to help them to self-fund their own education beyond high school. The Life Skills Program combines a customized curriculum with exposure visits, a small-scale enterprise project, and ongoing mentorship over a period of three years. Classroom time is spent helping students understand the importance of education and offering assistance to help them grow in the areas of self-management, self-disciple and character development. As a part of this program, they will have the opportunity to learn viable skills such as working with a team, goal setting, understanding entrepreneurship and workable business ideas, record keeping, the importance of personal savings and career guidance. Due to a generous grant sponsored by P, B and K Family Foundation we were able to support all twenty-two senior one students at St. James Secondary School access the Life Skills program. Pre and post test assessment scores showed an overall knowledge increase of 47% through the goal setting lesson. Posttest scores showed that students were able to articulate the value of setting goals, define short and long term goals, and understood the process of setting realistic and attainable goals. Upon workshop completion 100% of students were able to articulate both personal and career goals for their future. Pre and posttest assessment scores showed a significant increase in the Defining Entrepreneurship, Enterprise Ideas, Skill Identification and Development Lesson. Post lesson results showed that 88% of students could articulate qualities of a successful entrepreneur and 84% could identify opportunities for income generation from local industries. Finally, 81% could articulate the value of opening a pig rearing business as a mode of income generation. We thought we might be onto something. As a result, we wanted to expand the initial pilot to include senior two students at St. James Secondary School however we lacked the funding required to do so. This is where you come in. Project collaboration has been at an all-time high with school administration and parents participating in the Value of Education workshops. This NEVER happens! Through last year’s end of year gift, this is what you have helped to create. This is your impact. 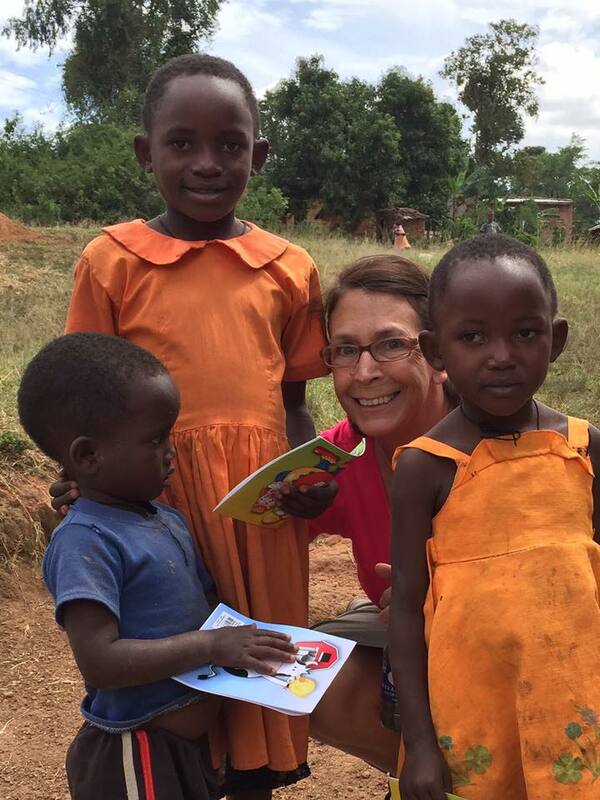 Thank you for helping to leave a lasting imprint on Uganda.